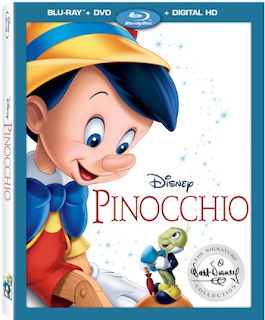 Disney’s timeless tale Pinocchio, considered one of the greatest animated films ever made with two Academy Awards, joins the Walt Disney Signature Collection. Now it will delight a whole new generation of dreamers with its masterful animation, unforgettable characters and award-winning music. The movie which inspired the world to wish upon a star, arrives for the first time on Digital HD and Disney Movies Anywhere on Jan. 10, and on Blu-ray™ and DVD on Jan. 31 with hours of new and classic bonus features. “Pinocchio” is considered one of the greatest animated films ever made, with two Academy Awards® -- for best original score and best original song "When You Wish Upon a Star" – and a rare 100% rating on Rotten Tomatoes. Now, it will delight a whole new generation of dreamers with its masterful animation, unforgettable characters and award-winning music. “Pinocchio” tells the tale of wood-carver Geppetto's beloved puppet who embarks on a thrilling quest – with faithful friend Jiminy Cricket – that tests his bravery, loyalty and honesty, all virtues he must learn to fulfill his heart’s desire: to become a real boy. I just love that Pinnochio can be seen on Digital HD and Blue-ray and DVD. 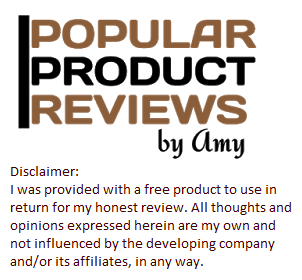 It brings back such wonderful memories from my childhood and I am thrilled to share this with a new generation. Jiminy Cricket and the songs had us all glued to the screen and singing at the top of our lungs. I think this dvd makes a great gift to pass on this disney tale to kids young and old.